Cut edge-to-edge to specifically fit SAPI/ESAPI/SPEAR Cut Plates, this system can be worn with or without a soft armor panel depending upon ballistic requirements, threat conditions and the type of plate utilized. 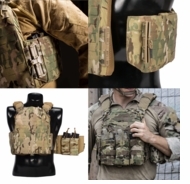 Maximizing the new lightweight 6/12™ technology and rapid closure systems provided by The Tubes™, the SAPI Cut Plate Carrier can be rapidly donned or doffed. 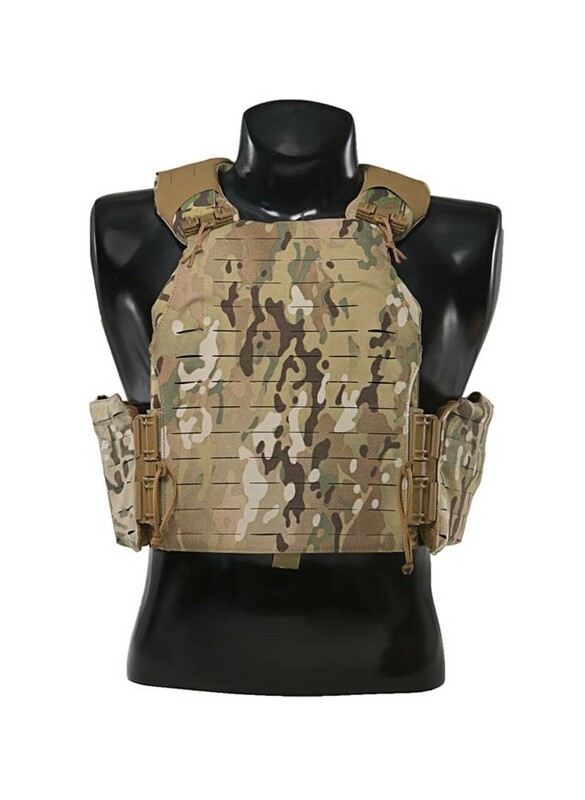 Using a streamlined fit throughout, along with state of the art materials and production technology, the 6/12™ SAPI Cut Plate Carrier is easily tailored for comfort, ventilation and fit. The interior pocket includes foam for added comfort when used with a stand-alone plate. The internal foam is easily removable and replaced with cut-to-fit soft armor inserts for use with ballistic plates. Now features the Overlap Cummerbund! 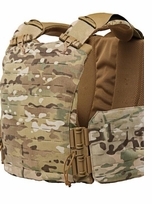 The Overlap Cummerbund has been designed to provide additional overlapping soft armor at the front of the plate carrier where the Tubes™ closure system meets. The soft armor can now tuck in behind the Tubes™ allowing full armor coverage along the flanks of the body. 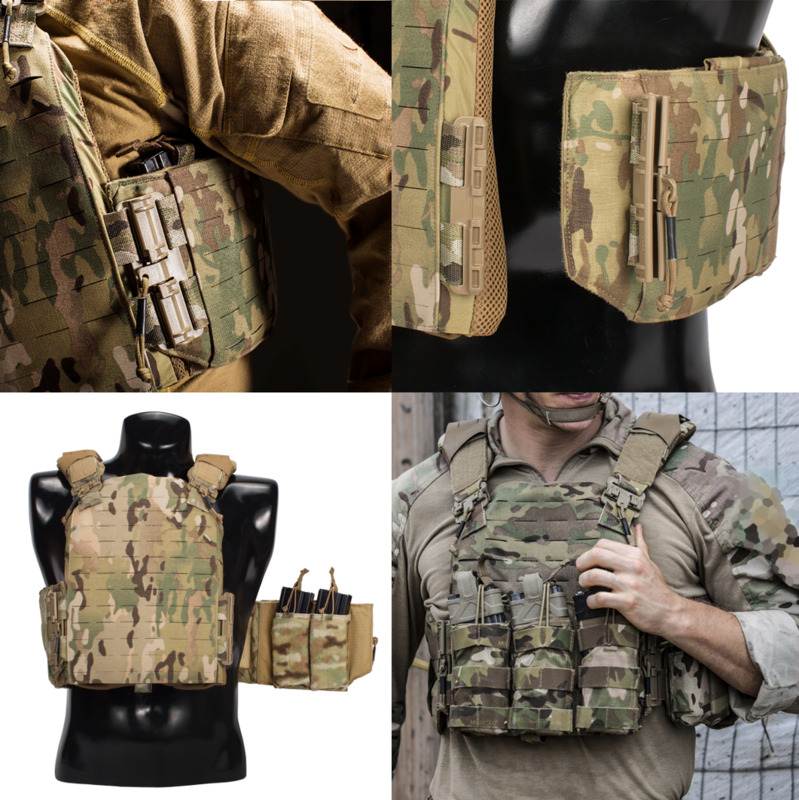 The inner face of the Cummerbund has been modified to allow the attachment of Ragnar™ Pockets and other velcro-attaching pouches so that magazines, radios, and other items can be held in close to the body making for an even more streamlined silhouette. Magazine Pouches and accessories sold separately.